HAUTRULE LOTION contains 6% valuable night candle oil with the essential fatty acids linoleic acid and gamma-linolenic acid, which are very important for the construction of the natural barrier function of the skin and are often missing in the case of eczema due to an enzyme defect. Shéa butter, almond and jojoba oil support the care and protection and make the skin babyzart and soft. Allantoin and panthenol support the skin regeneration, for example in small skin lesions. St. John's wort extract * from biocontrolled cultivation with bio-flavonoids has an anti-inflammatory effect and supports the skin-soothing effect of the HAUTRUHE LOTION. Glycerin and betaine, a natural plant moisturizing factor, ensure good hydration of the skin. Vitamin E and Provitamin B5 (Dexpanthenol) support the regeneration of the skin and help to improve the skin structure. The ability to bind moisture in the skin is increased. * An increase in the light sensitivity by St. John's wort extract was not established within the framework of the test studies. SKIN LOTION does not contain any mineral oil. SKIN CALM LOTION onto cleansed skin once applied extensively to several times a and gently massage. The whole body care attracts well and leaves no fat film. For dry, sensitive and irritated skin, the SKIN LOTION SILENCE also applies therapy concomitantly with neurodermatitis. Also suitable for adults. HAUTRUHE was successfully tested at the University Skin Clinic Kiel in children aged 6 months and over. The moisture content of dry skin is increased intense and sustained by applying the SKIN CALM LOTION. A disturbed protective and barrier function of the skin (eg in the case of neurodermatitis) is demonstrably improved by the application of the HAUTRUHE LOTION. Skin irritation and itching are softened and the skin feels soft and soft again. Dermatological tests and clinical studies on dry and very dry skin (neurodermatitis), also in children, confirm an excellent efficacy and tolerability. HAUT RUHE CREAM includes 10 % prized evening primrose oil containing linolenic and γ-linolenic essential fatty acids which are integral in building the skin's natural barrier function. They are both of particular help in cases of neurodermatitis and impaired lipid concentration as they boost and strengthen the skin's protective function. A non-greasy, biomimetic caring oil leaves a fine protective film on the skin which protects against renewed dehydration. Certified organic St John's wort extract* and bisabolol have an antiphlogistic and skin-soothing effect. Allantoin and panthenol support skin regeneration, for example with minor skin lesions, while glycerine, urea (0.25%) and vitamin E provide for good skin hydration. *An increase in photosensitivity through St John's wort extract was not established in the course of the test studies. Lightly rub HAUT RUHE CREAM once or several times daily into skin areas needing particularly intensive care, for example in the area where legs or arms bend: a light oil film protects from renewed dehydration. HAUT RUHE CREAM is recommended, due to our product’s beneficial ingredients, its dermatologically and clinically proven tolerance, for very dry, rough and irritated skin areas and to accompany neurodermatitis therapy. It is also suitable for adults. HAUT RUHE has been successfully tested on children from six months of age at the Kiel University Hospital in Germany. Using HAUT RUHE CREAM brings about a considerable increase in moisture to dry skin with a lasting effect. The use of our cream substantially improves barrier function impairments of the skin providing it with better protection, for example with neurodermatitis. It also alleviates skin irritation and itching. Bought this after my elder suffers excema due to dry skin and itchiness. It’s a very good product as his skin condition getting better after regular application. Will recommend for kids and it’s a good product if one suffers dry skin too. Mild to the skin . 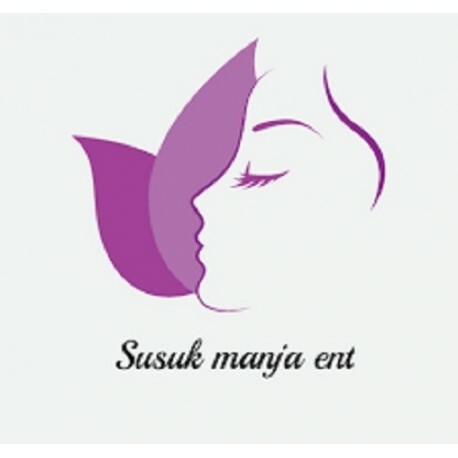 Dengan products ini ruam dan gatal² pada bdn dan pipi anak saya semakin pulih dan berkurangan.. Saya yakin product ini memang terbaik!!! Recommended sgt!!! It is a really nice product compare to other brand , this is my second time to buy this product and I will buy it again ,it is so awesome for everyone skins . Dulu, anak saya sering mengalami ruam di badannya, tapi sekarang selepas menggunakan lotion ini, anak saya todak lagi mempunyai masalah ruam badan lagi. Memang betul betul berkesan! For me, this lotion is superb! Plus, my son has had very dry skin since birth. With lotion, the skin after some application was much smoother and the dry skin spots and itching were gone :)) , maybe due to 3 combinations of evening primrose oil, sweet almond oil, jojoba oil & St. John’s wart. Now I just put this cream on my son after the bath? The doctor to my dry hands!! 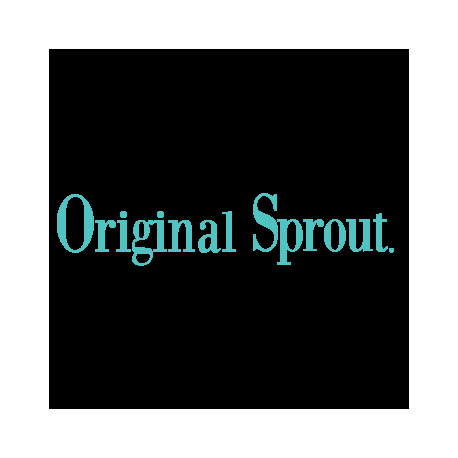 I have been using this product when I first say it in the drugstore few years ago. At the time, my hands were really dry and it dries until it would feel itchy. When I came across this, I tried it and it really worked. My dry hands are no longer dry. It is as smooth as a baby bum and I will surely continue to use this lotion in the future. been using this lotion all the time because it is suitable for adults also and not only kids. this lotion is super moisture and i think i am in love with this product. gonna repurchase it soon! This lotion is neutral which is suitable for all skin type. It does not lead to any allergic, and I’m comfortable by giving my cousin to use it. I highly recommend for this product. This lotion is very nice and it really suitable for all skin types. Keep the skin moisture and hydrated. It is so mild and easily absorb into the skin. It does not irritate or harm the skin. The product was so great. It is suitable with all the skin types. I am recommend this product for those who have the sensitive skin and you will need this product. 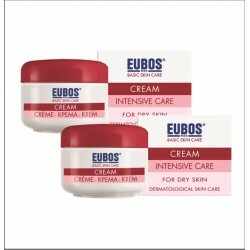 This lotion of Eubos is very suitable for all kind of skins. Few years back, I got very terrible time whereby my skin got dried and cracked. Amazing that just in a week I can see amazed changes in my skin. Thereafter I continue to use it till now. Superb product ? This lotion is very nice and it really suitable for all skin types. It is so mild and easily absorb into the skin. It does not irritate or harm the skin. It is perfume free ans with evening primrose oil, sweet almond oil, jojoba oil and extract from St. John’s wort is very suitable for the baby and children. It gives the smooth and soft touch. It does not leave the skin dry because it has the moisturising effect. Highly recommend to everyone out there as it is a very good quality product. This lotion is very suitable to all kinds of skin. The result is so fast if you apply in ur kids skin when there is mosquito bite. This lotion also have good smell. Love it so much! At first was sceptical about this lotion because I have tried many other brands before, and decided to give it a try on this Eubos, but after using for several weeks later can see the difference on the skin compared to previously and my skin is as smooth as silk with no joke! Apa yang best dgn produk eubos lotion ni ialah produk yang mudah di gunakan dan senang di bawa ke mana saja..bukan itu sahaja malah produk ini dapat membantu masalah kulit sensitive dan kulit kering… sometimes kulit yang terlampau kering boleh menyebabkan sisik dan sakit…selepas menggunakan lotion uebos ni masalah kulit tersebut dapat di atasi..bukan hanya di gunakan untuk anak tetapi boleh di gunakan seisi keluarga.. Perfect lotion ever! Lets try it. Eubos Haut RuHe is the best solution if your little one is having dry and itchy skin. This lotion is good in dealing with dry and sensitive skin. The step is very easy to spread and absorb to your kids skin. This lotion is one of my favourite and apply to my children skin. Also have very good smells. The price also is not too expensive, affordable and really worth it. Try it! EUBOS Haut Ruhe Basic Care Lotion for dry and sensitive skin. Good product and good quality . 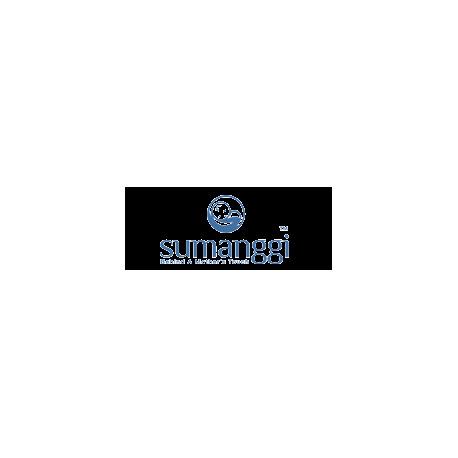 this product are so good to use and its not harmful to use to anyone and its suitable to use at old man,young man and even children can use this product too. I used to have dry skin and my skin is always itchy. After using this product, my skin is no longer dry. It is always wet! Thanks for making me wet! a very great lotion.. it’s suitable for me..
Sangat sesuai untuk my son yang ada masalah kulit sensetif.. Bila guna, kulit jadi lembab halus.. Like it\’s. harga pulak berpatutan, mampu milik.. yang penting keberkesanannya tau.. I love this lotion as it is non sticky at all. Sooth my baby skin, reduce the dryness and have a pleasant smell. My favorite things for every day using, it easyly absort into skin make my skin refresh and smoothly. 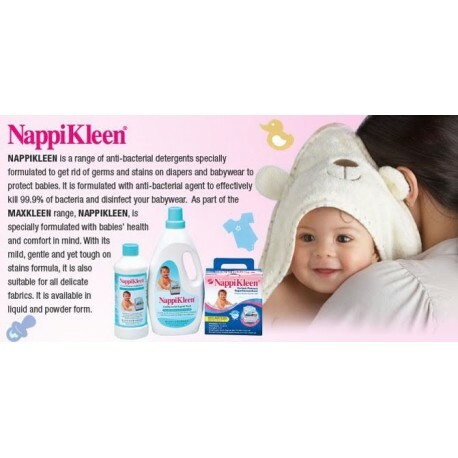 Very good product for my baby. My baby skin was sensitive and this lotion very suitable for my baby. Its was effective care for dry, sensitive and irritated skin of babies and children. Very most importand is this product free from parfume. My baby used this lotion since 5months ago. I trust this Eubos Haut Ruhe Lotion because it is free from perfume, colorants and preservatives for my baby. It is also safe for my baby’s skin and myself. We love this lotion. Thank you Eubos for this good product. Saya suka Eubos lotion. Saya pakaikan pada anak saya. Saya juga pakai. Cepat meresap. Lembut je bila pakai. membantu masalah kulit sensitive dan kulit kering yang saya alami. Eubos lotion mudah di gunakan dan senang di bawa ke mana saja. Sesuai digunakan pada semua peringkat umur. Walaupun saya tak pernah pakaikan anak saya losyen Dari produk Eubos ni tapi saya tahu bahawa losyen ini sangat berkesan sebab jenama produk Eubos ni memang sangat terkenal. So,selepas ini saya pasti akan mencuba losyen Eubos ni. It is a top product for baby as baby’s skin is more sensitive compare to us adult. This product is not oily and definitely will not make your baby to feel uncomfortable and uneasy. My daughter suffer with mild eczema on her bumb. After using this product, her skin recover very fast from the eczema and now her skin very smooth like never before. Jenama eubos ini boleh dipercayai. Selamat diguna pakai untuk baby. Sangat lembut pada permukaan kulit. I fall in love with this product,it very smooth and fresh. Jenama Eubos sentiasa menjadi pilihan no.1 saya sejak dari dulu lagi. Teksturnya sangat lembut pada kulit, sesuai dan selamat untuk kanak kanak yang mengalami kulit kering dan gatal gatal. Sekarang niece saya yang paling kecil pun gunakan lotion ini. Produl ini sangat bagus untuk bayi yg menghadapi ruam ruam didelah celah seperti ketiak, peha. Boleh pakai selepas mandi , sapu secara lembut dan pastikan ianya meresap dan biarkan ianya kering. I love it because my kids use this lotion as it works for them. There is no side effect and it is great. I can also recommend this product to all my friend and relative so that they can feel the goodness of this product. This product very2 nice and good for any people. EUBOS Haut Ruhe Lotion sememangnya berkesan!! Anak saya berusia setahun 3 bulan dan mempunyai kulit yang kering, selalu tumbuh ruam dan gatal-gatal terutamanya di bahagian leher dan tengkuk. Dengan EUBOS Haut Ruhe Lotion,masalah ini dapat diatasi dengan 3 kali sapuan sahaja.losen ini perlu ada di setiap rumah yang ada bayi!! I would preferably suggest this lotion for baby or kids. It is so good and very safe for kids or baby. I think this product is so good and worth you money to but it for your family. i have a really bad dry skin. been trying a lot of lotion product and i eventually have been recomended to use this product and yes ! no more dry skin ! Sesuai Untuk kulit gatal dan kering. Any product that EUBOS produce are really worth to use. All kind age can use. From baby to elder. Just like my family already use this brand since my grandparents life hood. Sangat sesuai utk kulit kering atau gatal2..for me sgt2 recommended..
An Amazing product not to be missed!! I’ve bought this cream recently and found out that it actually works on my skin as my skin is really sensitive to various products but definitely not this brand. It has never failed me. I would strongly recommend you guys to buy it if the financial factors isn’t an issue to you all. Eubos is the perfect solution to my kid’s personal hygienic needs…tried few other brands but Eubos is still the best! Produk ini amat baik untuk sebarang jenis masalah penyakit kulit yang dihidapi oleh kanak-kanak terutamanya seperti gatal dan kering. Ia cepat meresap ke dalam lapisan kulit dan tidak melekit. This lotion is very good. Will recommend to others friend and family. Sangat sesuai utk kulit yang kering dan gatal2.. Sangat berpuas hati. Anak adalah anugerah terindah dari tuhan yang perlu kita berikan sepenuh perhatian. I never use this kind of product, but i think i would buy it if i have a kid someday. It would make my kid fell comfortable after breastfeed. nice producy to have in your house.you can apply it to skin and see the best results ever you have. So far saya pakaikan untuk anak buah saya, kulit dia semakin pulih, sebelum nie kulit dia menggelupas disebabkan dia selalu menggaru. Good product for dry skin. Since i’m always working outside office, this at least makes it look good. ?? Anak-anak saya memang dilahirkan dengan kulit yang mudah alah. Salah pakai produk, akan naik ruam dan kemerahan. After using this lotion it won’t feel any pain or uncomfortable. My skin feel very smooth and bright . The price is affordable and the products is really good for this . It’s worthy I like it ! Good product! My skin was dry but this lotion helps me a lot!! I use to scratch my skin everyday and after I used this product, my skin condition become better and less itchy! I have experienced many problems with my skin before using this product. When I saw this product, I felt in love with all the features in it so I give it a try. Amazingly, the first few weeks using it, my skin looks amazing and had very little problem like before. Very good and hydrated product! a very good product for busy parent. this will help you speed up bathing process of your naughty or beloved child. totally not recommended for adult but very recommended for babies. this product also smell amazing which can help sahing money on perfume too. you know what i mean right. so basically this product totally superb but if i could ask one thing i would ask for you to lower the price a bit. its good for me and my baby skin..i used it always especially to my baby got a dry skin.love it must have item in my bag? I love this product. My son got dry skin, itchy and redness. After apply, it looks better. I use this daily as a lotion. In fact, my son felt so comfortable and active even under the hot son. For me, it looks like superb and smoother for my baby and wife. Not only I am using this on my baby, I myself has been a loyal user of this amazingly wonderful body lotion. My third child is having a very sensitive and dry skin, and from regular use of this lotion she has stopped complaining about itchiness. Give it a shot! You have nothing to lose ? Very good quality . EUBOS Haut Ruhe Lotion is perfect for dealing with dry and sensitive skin, especially for babies and children. It’s easy to spread and absorb, allowing you to protect your loved ones by moisturizing and strengthening their skin’s natural protective barrier and even has a soft and comfortable texture to reduce discomfort. Lotion untuk penggunaan bayi dan juga orang dewasa. Amat mudah digunakan dan tidak melekit. Kulit rasa lembab dan tidak terlalu kering. Getting moistourized, strength and hydrated skin shouldn’t cost a fortune. The compatibility and efficiency of the EUBOS Haut Ruhe Lotion has been tested and dermatologically confirmed, so you can rest easy knowing that your loved ones are receiving the best care. Will surely buy it again because the sensation as it goes to the skin was very soothing and it smell very nice. this extremely a nice lotion especially for very dry skin…this lotion memang boleh buat a good deep moisturing when u apply and go sleep overnight..the next morning u will feel ur skin are totally alive! Suitable for my baby’s skin. Sangat sesuai untuk kulit sensitif seperti ezema, gatal2 pada kulit. Ia amat mudah digunakan dan tidak melekit. Dari pengalaman saya, kulit rasa lembab dan tidak terlalu kering. Tidak kira usia dari baby sehingga orang tua semua boleh guna tanpa was-was dan mudah didapati setiap store farmasi. Safe and easily absorbed on baby skin. Light texture and it absorb in the skin. It helps to moisture baby skin. 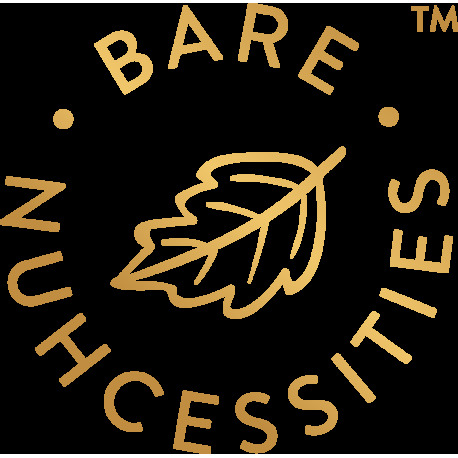 Certified ingredients and safe to use on baby or children skin. Recommend for dry skin. It works perfectly well for me and moisturising my skin deeply which solve my dry skin issues for a few years ady! Recommend to other to buy! Great product! Awesome value! I always wash things with water for few hours so my hand will be very dry after that, if i not using any lotion then my hand will be very itchy and dehydrated. So i apply this on my hand, i feel is very moisture and comfort my itchy hand. sesuai untuk kaum lelaki yang tidak sukakan bauan perempuan. Losyen pertama yg saya jumpa tiada bau.suami saya suka gunakan losyen ni sebab salah satu ialah kerana tiada bau dan sangat sesuai untuk kulit kering walaupun losyen ni untuk bayi dan kanak-kanak. Saya juga gunakan losyen ni untuk anak lelaki saya dan memang mampu melembapkan kulit. This product is suitable for all skin type. Works effectively in giving moisture. My hand especially fingers will dry and cracked because exposed to too much of chemicals (working) and at home, detergent, soap. Having sensitive skin is really troublesome. I’m sometime in pain of having crack as they will bleed. Eubos is my life saver. Help in maintaining the moisture and won’t be greasy after apply. Soft and with a little bit of nice smell. 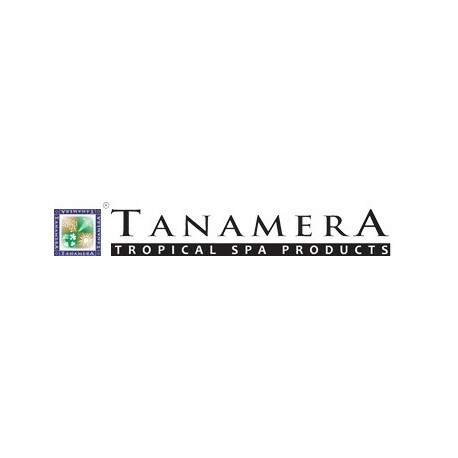 I use this on myself and I love how it smells and keeps my skin moisture and hydrated. Plus, you won’t feel sticky at all after you apply it. My young brother is using this body lotion. His dryness of skin gone after I applied it on his body continuously. His skin become smooth and moisturize after he used this body lotion. However, this body lotion is a bit pricey but it can give you positive results. It is value for money. Very nice smell and not too sticky..
Tahniah produk Eubos sebab memberi saya berpuas hati dengan produk anda. Saya mengalami kulit kering dan malu berhadapan dengan orang. Jadi Eubos menjadi penyalamat saya dan sentiasa memberikan kelembapan kulit saya walaupun bukan 100% tapi kini saya yakin berhadapan dengan orang ramai. Losyen Eubos Haut Ruhe sangat sesuai dengan kulit saya dimana ia membuatkan kulit saya lembap dan lembut. Berada terlalu lama di dalam bilik berpenghawa dingin atau terdedah kepada cahaya matahari yang membuatkan kulit saya kering dan kusam, tetapi apabila saya menggunakan losyen in, kekeringan pada kulit saya sangat berkurangan. Saya suka eubos lotion kerana lotion ini amat bagus dan berkualiti.memang terbaik lotion eubos ini.produk eubos memang sesuai digunakan untuk kita. Great for all ages ! Please bear in mind my fellow reviewers, if the products are kids friendly that means it is suitable for all ! This is a really good lotion. I always apply after bath. The texture also very soft. This product is superb. Good for skin.It\’s moisturize after use.It moisturising my skin deeply which solve my dry skin issues. It is value for money and i will recommend it to frieds. Gunakan lotion ni untuk kulit anak yang sensitif dan kering. Memang hasilnya berkesan. Kulit jadi lembap dan lembut lepas guna. Memang saya rekomen untuk semua ibu dan bapa di luar sana. I applied it on my skin and my son’s skin daily. It smoothen our skin after we applied it. My dryness of skin gone after I applied it continuously. Lotin Eubos memang baik untuk saya.Tetapi mahal untuk dimiliki bagi yang kurang mampu.Walaupun begitu,ia baik untuk saya. saya memang mengalami kulit kering dan mudah gatal.Pernah guna produk ini hasil hadiah dari saudara.Memang sesuai untuk saya.Ia memberikan kelembapan yang diperlukan oleh kulit saya.Lotion ini telah diuji secara dermatologi.Tidak was-was untuk menggunakannya. sangat sesuai untuk anak saya yang mempunyai sensitive skin..
After recommend by friend ! Try it ! The smell not so good but after use skin is really smooth ! When my son was 8 months old, he started getting dry skin and mild rashes on his body. I tried few other mild products from the market but I didn’t see any improvement on his skin. And that’s when my friend recommended to try using this cream. I tried, and it worked amazingly. Skin was smoother and rashes started reducing. Something which I’ll recommend to all to use! 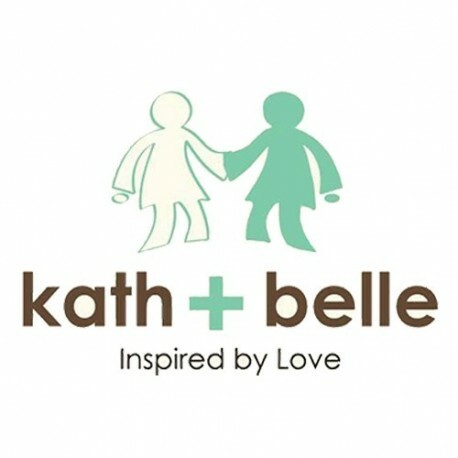 Lotion yang tidak memberikan kesan sampingan atau gatal pada kulit.sesuai pada kulit bayi kerana tiada bahan kimia dan dari bahan semulajadi.ia juga dapat melembapkan kulit yang kering selain harumannya yang wangi. We get this as a gift and tried it when my baby had eczema. It really help if baby has eczema, It keep baby skin is moisture and you can feel baby\’s skin is soft after applied. My dad is using this body lotion. His skin condition gt improved and moisturized after using this body lotion. It is value for money and i will recommend it to my other friends too! My children has dry and sensitive skin (mildly eczema). Whenever she has flare up and I can’t simply use any moisturizer or lotion on her because some additives in the lotion may worsen her skin condition. So, choosing a right lotion for her is always my main concern. Recently when she had her flare up, i tried her on Eubos Haut Ruhe Lotion and it works wonder. With only few days of applying, her skin texture improved and I will continue to use this on her. Is really moisture and soothing the dry and itchy skin . And also suitable for baby skin too. I apply this lotion on my toddler’s skin, as well on mine too. I have very dry skin issue and make me feel itchy sometimes. To my surprise, this lotion soothe the itch very effectively. After continuous using it for a week, my dry skin condition improved a lot. Another thing I like for this product is it is mineral oil free, which is quite a common ingredient in most of the lotions. I did recommend it to my friend that having dry and cracked skin issue after traveling back from cold country. My son is using this body lotion. His dryness of skin gone after I applied it on his body continuously. His skin become smooth and moisturize after he used this body lotion. However, this body lotion is a bit pricey but it can give you positive results. It is value for money. The cream melted nicely on my body and feels so soft! My husband also using this cream.He always sweating and have eczema(rashes). But this one really work on him. My younger sister’is using this body lotion. Her dry skin gone after I applied it on her body for days.. Her skin is getting moisturized and softer after applying it. However, this body lotion worths the price. My daughter’s skin sensitive and dry. She skin will be very Itch and swelling once bite by mosquito. But After apply the lotion several time a day. It work and her skinAlleviates itching and has a soothing effect. Easy to apply. Once applied, it is smooth and non-greasy. My kid suffers from dry skin and must use creams for her face especially and yet is very sensitive. many creams and lotions will turn her into a tomato (allergy reaction will turn her face red and blotchy and very itchy). Very pleased to see that the lotion made her skin soft and supply and she did not suffer from an allergic reaction to this lotion. I am definitely a fan!!! 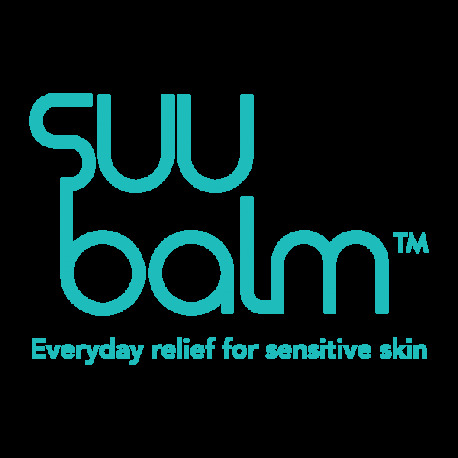 texture is very gentle, non sticky and can soothe sensitive, dry & itchy skin. very suitable to use for children and baby. Body lotion for dry and sensitive skin. Kulit saya memang jenis kering dan sensitif. Saya tak boleh pakai sebarangan produk. Tapi dengan losen eubos haut ruhe ni, kulit saya lebih lembap. Rekahan pada tumit juga makin hilang. Jika tangan saya kering, saya hanya sapukan losen ni. Paling best, tiada bau yang tidak menyenangkan. I use it on my knee & elbow area, can see the result. The skin is more moisture and smooth. Lotion untuk kulit kering dan sensetif.Tidak hanya pada anak2 boleh juga digunakan bagi yang dewasa.Dapat melembapkan kulit yang kering dan menghilangkan kegatalan. after my boy apply the Eubos lotion , my boy skin condition got improved , no more dry and itchy. it’s really a good lotion and suitable all skins type . i also recommend the lotion to my family and friends . Lotion Eubos sesuai untuk seisi keluarga saya.Saya sapukan di tumit dan tempat2 yang kering di badan untuk melembap dan menyegarkan kulit.Anak saya juga tidak mengalami sebarang alahan atau gatal2 di kulit dengan lotion ini. I apply this cream everyday on my baby’s skin everyday. As my baby’s skin is very sensitive, I need to be very careful in selecting lotion for my baby. So far, he is using this lotion and the resultant outcome is good. KULIT YG KERING TERUS LEMBAP! First,lotion ni saya start guna bila kulit saya mcm itchy and then kering lps dh guna mcm 3-4 hari dh boleh nmpak kesan dia…kulit saya drpd kering terus bertukar lembap sentiasa..selama ni saya dh guna mcm ii lotion tp still look like same so I decided to buy this lotion and impact dia mmg terbaikk!!! ?? EUBOS Haut Ruhe Lotion is easy to spread and absorb, moisturizing and strengthening your skin. It has a soft and comfortable texture to reduce discomfort as well. It is perfect for my children as it is free from Perfume, Colorants, Preservatives, Lanolin and Mineral Oil. I can see a effective results on my son’s skin as he had dry skin problem previously. Once I continue applied the lotion on him, its skin is now smooth and no more dry skin spots on his body. I like the texture of the body lotion and it doesn’t feel sticky after applying it on the skin. The body lotion absorbs pretty quickly and skin feels quite moisturize after that. It is fragrance-free and doesn’t contain harmful chemicals. Therefore It is suitable for babies, children and those who have sensitive skin. The fact that this is dermatogically meant for children or babies is not entirely true. I have been applying this lotion twice daily and it absorbs very well into my skin. I can feel a difference in my moisture levels of my skin because after applying it, the pores open up and I can feel my skin cells repairing itself. For a person with eczema myself, any type of weather, hot or cold, causes irritation to my skin because of drying out. This formula of Evening Primrose Oil, Sweet Almond Oil, Jojoba Oil and extract from St.John’s wort combined is able to soothe my itchiness for some time, though, not for long which means I have to reapply again for the full moisturizing effects to kick in. I also liked that it does not smell too strong of chemicals or is ridden with preservatives and colouring. Highly recommended for anyone with a dry and itchy skin. which is good for skin. Not only baby, we also can use it. My job requires me to be at my desk, harsh air-conditioned office and dry environment. My hands can be dried and scaly so this cream is a saver. The fragrance however isn’t too pleasing but the cream does its job well. if you are looking for pharmaceutical grade cream for serious dermatological skin care free from perfume, colorants, lanolin and mineral oil, this cream is for you. It has evening primrose oil, sweet almond oil, jojoba oil and extract from St. John’s Wort to nourish your skin. 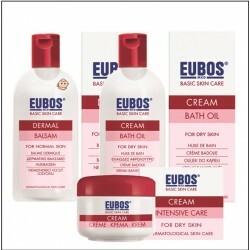 Eubos lotion is specially design for dry skin, I got a sample and I applied on my arms & knee area. It absorb fast and won’t feel sticky. It helps in reduce the itchy in dry skin too. A lotion for children & parents. EUBOS MED DRY SKIN CHILDREN LOTION ini sangat lembut dan sangat sesuai dan selesa untuk anak-anak saya yang sememangnya sensitif dengan sebarang lotion. Mengurangkan kekeringan pada kulit dan menghilangkan ruam serta merah-merah pada kulit anak saya dengan beberapa kali sapuan lotion EUBOS ini.. Saya juga menggunakan lotion EUBOS DRY SKIN CHILDREN ini pada tumit kaki saya dan keputusannya sangat memuaskan apabila rekahan semakin berkurangan dan tumit kaki kembali lembut.. TERIMA KASIH EUBOS MED DRY SKIN CHILDREN LOTION..
Anak saya mengalami kulit sensitif. Selepas menggunakan product ini, kulit kesayangan saya sudah tidak kering. Saya sangat gembira dan telah menyesyorkan kepada kawan-kawan saya. Produk ini juga mudah didapati, jadi pilihan saya memang tepat. For me, this lotion is superb! Plus, my son has had very dry skin since birth. With lotion, the skin after some application was much smoother and the dry skin spots and itching were gone :)) , maybe due to 3 combinations of evening primrose oil, sweet almond oil, jojoba oil & St. John’s wart.